Set in the heart of the Orchards, Armagh Cider Company is a family run business who have been growing and processing apples since the 19th Century. Award winning chef Mervyn Steenson, from Grouchoâ€™s in Richhill will be preparing a rustic supper menu with locally sourced produce. 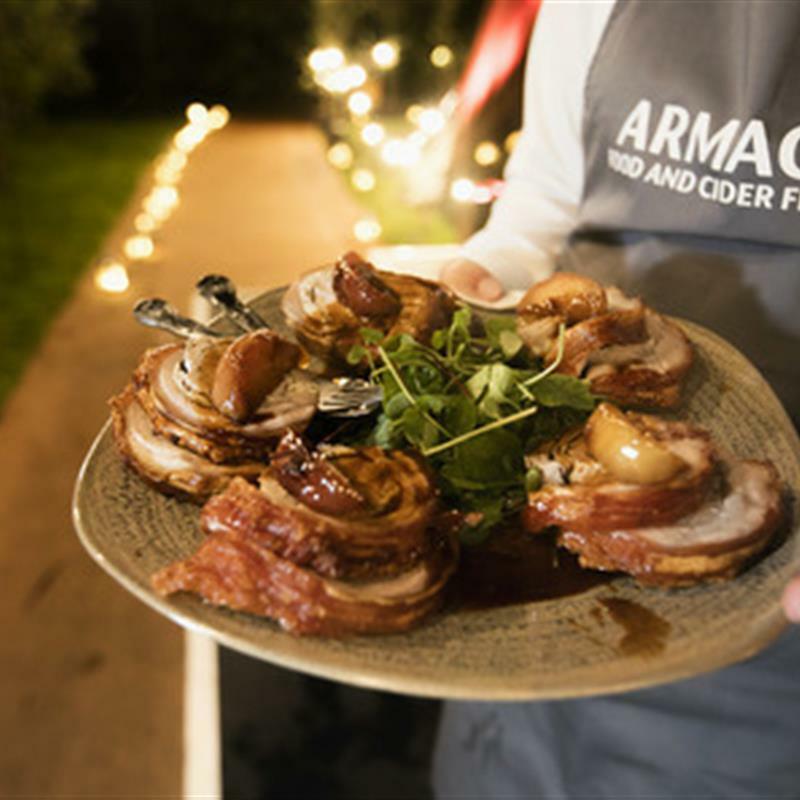 The food will be served up in the unique surroundings of a very special barn and each course will be accompanied with award winning ciders. Armagh Cider Company will be launching their festival cider â€œOrchard Bramble Ciderâ€ at this event. Constructed in the 17th Century as a meeting house, the barn has been extended and changed many times over the years and itâ€™s latest refurb in 2017 has transformed it into a tasting and workshop space. The night will commence with drinks served in the orchard and will conclude with musical entertainment. Booking essential.